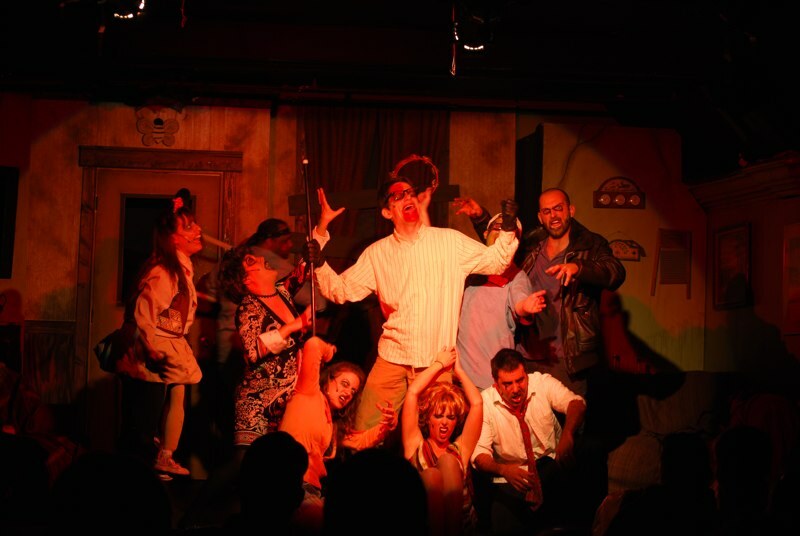 Here is where my review was supposed to go of the new “zombie com” (zombie comedy) musical, Musical of the Living Dead. However, life got in the way at the last minute yesterday evening, and I had to forgo the show. Bummer, as I was really looking forward to seeing a campy zombie musical. At any rate, I still want to promote the show, because I think it sounds like a great time. Center Stage’s Colin Douglas, whose opinions I usually agree with, wrote a good review of the show.